In order to build a successful program, it is vitally important to develop an atmosphere where EVERY individual feels as though they are important to the success of the program. This applies to coaches, players and managers. From the starting quarterback to the third string tackle on Junior Varsity team – every one contributes something to the program. Our talented coaching staff brings this philosophy to the field every day. Coach Connor joined the Hingham Football family in 2018. He grew up outside of Philadelphia, Pennsylvania playing at Strath Haven High School. He earned All-American honors in high school as an offensive and defensive lineman. He earned an athletic scholarship to play football at Boston College from 1999-2003 receiving a varsity letter 3 of those years. After graduating from BC and double majoring in Secondary Education and History, he was hired at North Quincy High School where he still teaches history. He achieved is masters degree in 2011 in School Administration from American International College. He served as the offensive coordinator at a North Quincy High School for two years before getting hired as the youngest head football coach in the state at 25 years old. Coach Connor served for seven years as the head coach at North Quincy before getting hired at Norwell High School as head football coach. 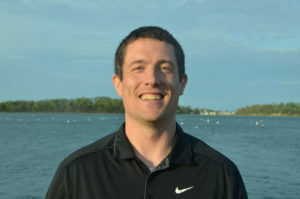 He served as the head coach at Norwell for five years from 2013-2017 before joining the Hingham coaching staff in 2018. Coach Connor was selected to coach in the 2013 Shriners Football Classic, selected as South Shore League Coach of the Year in 2016, and selected by the officials (EMAIFO) as Coach of the Year in 2017. He has also coached softball, track, boys and girls basketball at the varsity level at both high schools. Coach Connor currently resides in Marshfield with his wife Dina and two kids Madison and James. Coach Barden grew up in Quincy, MA where he played football under Coach Connor from 2006-2008 at North Quincy High School as an offensive and defensive lineman. Under Coach Connor, he was named captain of the football team his senior year and became a Boston Globe E.Mass All Star, Patriot Ledger All Scholastic and All Patriot League Player. Coach Barden went on to play football at Bentley University where he became a 3-year starter on the defensive line as a Nose Tackle. He graduated from Bentley University with a BS degree in Accountancy. This is Coach Barden’s second year coaching HS football and his first year at Hingham HS. He was the JV Defensive Coordinator and Offensive and Defensive Line Coach for both JV and Varsity under Coach Connor at Norwell HS last year. Coach Bradshaw played high school football at Amsterdam High School in Amsterdam, NY, where he was a two-year starting defensive back and special teams player. He ended his career as part of a state championship winning team in 1995. Coach Bradshaw started his coaching career at Norwell High School in 2002 as a freshman assistant and Varsity scout, and over the past 16 years has served many roles for Norwell Football, including: Freshman Head Coach; JV Head Coach/Offensive Coordinator; Varsity Assistant/Special Teams Coordinator. As a Varsity Assistant, he has coached primarily WR’s and RB’s on offense, DB’s on defense, and special teams. Coach DeWitt comes to Hingham High School after two years at Sharon High School where he was the defensive coordinator and coached Linebackers and Running Backs. Prior to Sharon, Coach DeWitt spent three years as the Defensive Coordinator at North Quincy High School. He has also coached at Canton High School and Curry College. He started his coaching in the Quincy Youth Football League. Coach DeWitt was a two-year letter winner at St. Anselm College in Manchester, New Hampshire. He played his high school football for Quincy High School. He is a member of the North Quincy Hall of Fame. He currently is a middle school teacher in Sharon and resides in Braintree with his wife and son. Coach Luccarelli has coached high school football for 20 years. He coached in New Jersey, Norwell, and Pembroke. He is originally from NJ and played college football at Western New England University. He teaches 8th grade Social Studies at Norwell Middle School and is married with two boys ages 12 and 9. Coach Nutley grew up in Quincy, where he attended and played football and wrestled at Quincy High School. He then went on to play college lacrosse at Mount Ida College, before moving on to Fitchburg State University to play football for the Falcons where he was a two time All-NECF Defensive Tackle. He played four seasons in the Eastern Football League for the Boston Cowboys, earning all EFL 1st team for 3 seasons. He graduated from UMass Boston with a B.A in Sociology and History and earned a M.E.D. from Fitchburg State University. Coach Nutley started his football coaching career at Quincy High from 2000-2004, and then moved on to Stonehill College from 2004-2008 to be the special teams coordinator and defensive line coach. He also coached at Marshfield High School for one season as part of the Super Bowl winning team in 2009. He joined Coach Connors at North Quincy HS 2010-2013 before becoming the head coach from 2013-2018. In 2017 Coach Nutley was elected to coach in the Shriner’s All-Star Football Game held a Bentley College. Along with coaching football, he has also has been the head lacrosse coach at NQHS from 2000-2012 and 2014 and the head wrestling coach 2013-2017. Currently he is an assistant coach on Coach Todd’s lacrosse staff at Hingham High School. He is a middle school history teacher (Grade 6) at Point Webster Middle School in Quincy. Coach Nutley and his wife Becky and their two boys Adam and Sean live in Marshfield, where he is coaching youth football and lacrosse. Coach O’Neil grew up in Plainville where he played defensive back and receiver for King Philip. He currently works as a PE/Health teacher at Norwell Middle School and has been teaching for five years. He has spent the past five years coaching the freshman football defense in Norwell under Coach Connor. He is currently Norwell’s head winter track coach and assistant in the spring. Coach Pace grew up in Torrington, CT where he played football and baseball, earning All-League, All-State and Nutmeg Bowl Football All-Star Game recognition. He attended Yale University, playing both football and baseball, and was a member of two Ivy League Championship football teams and recipient of the Gerald R. Ford Scholar-Athlete award. He received his MBA from the Tuck School at Dartmouth, followed by a career in the financial services industry. Coach Pace spent many years coaching youth football, basketball, and baseball in Hingham before joining the high school program. 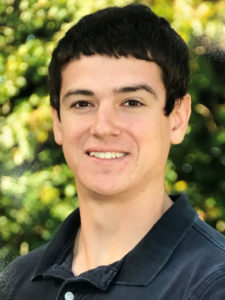 In addition to coaching football, Drew serves as a strength and conditioning coach for the football team as well as several other Hingham High School teams. He lives with his wife Sue and their two children in Hingham. Coach Reardon grew up in Quincy, MA where he was an All-League defensive back and running back for the Quincy Presidents football team, graduating in 1991. He then played for Stonehill College from 1991-1995 where he was a two-time All-League defensive back and captain his senior year. 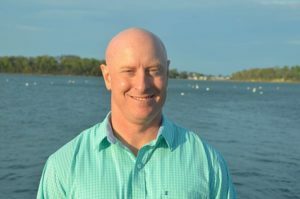 He went on to earn his Master’s Degree from UMass Boston in 1999 and has been a guidance counselor at Quincy High School for the past 19 years. Coach Reardon began his coaching career as an assistant for Quincy High School in the fall of 1995, was the Presidents’ defensive coordinator from 1999 to 2007 and head coach for the Presidents from 2008 to 2017. He was selected into the QHS/NQHS Football Hall of Fame in 2006, was selected as the Patriot League Coach of the Year following the 2012 season and was named as the New England Patriots’ Coach of the Week in October, 2014. He currently lives in Plymouth with his wife Michele, daughter Brooke and son Nicholas. Coach Terres grew up in Lansing, Michigan and was a two-time All-League tight end/defensive end for Lansing Catholic Central High School. He graduated from Michigan State University and earned his MBA from Northeastern University. 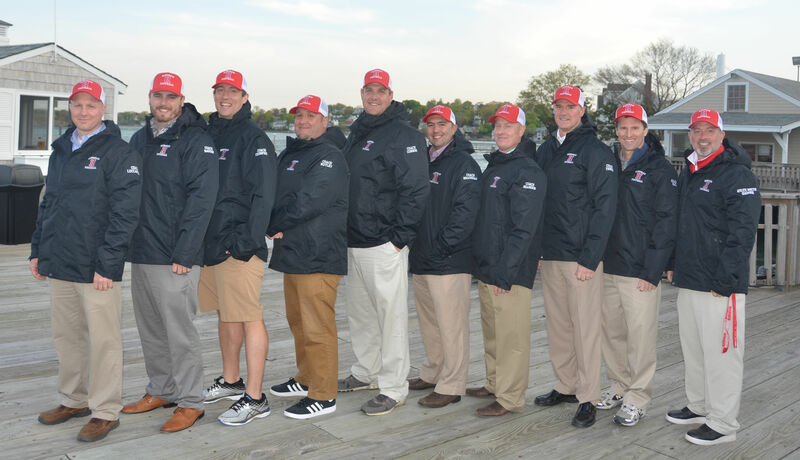 He has coached youth sports teams in Denver, Toronto, and Hingham. Coach Terres coached five years with Neal Kenney and Sean Cavanaugh at Hingham Youth Football and his teams reached the playoffs four times with one Super Bowl appearance. In both 2014 and 2015, Coach Terres helped lead the freshman team to very successful 10-1 records. In 2016 and 2017, Coach Terres and Coach Harrington led the freshman teams to 9-2 and 8-3 finishes, respectively. He and his wife Robin and their three children (all HHS graduates) have lived in Hingham for 15 years.